The rocks at the base of Coquille Point form rooms, passages, caves and tunnels. In this painting, the soft light filtering through the fog lit the passage that goes to the secret room accessible only at low tide. The moss, kelp and tide pool creatures color the lower few feet of the pointy rock formations. 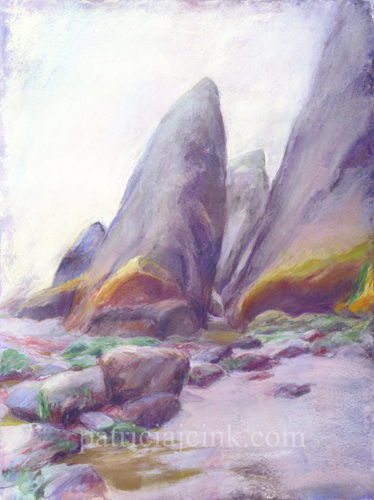 Soft pastels worked well to capture the misty light.